I’m not a “winter guy” so I haven’t gone out of my way to visit Minneapolis. 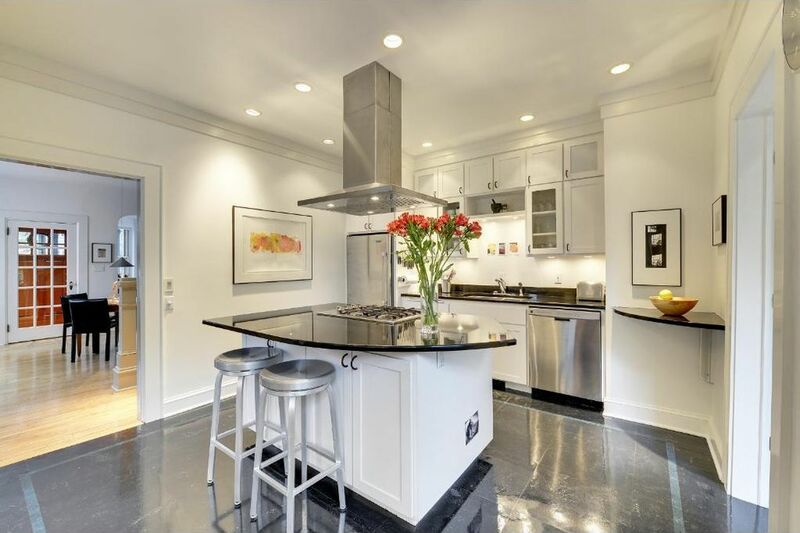 My loss, apparently, if there are nice Modest Mansions like this one for sale in the city! 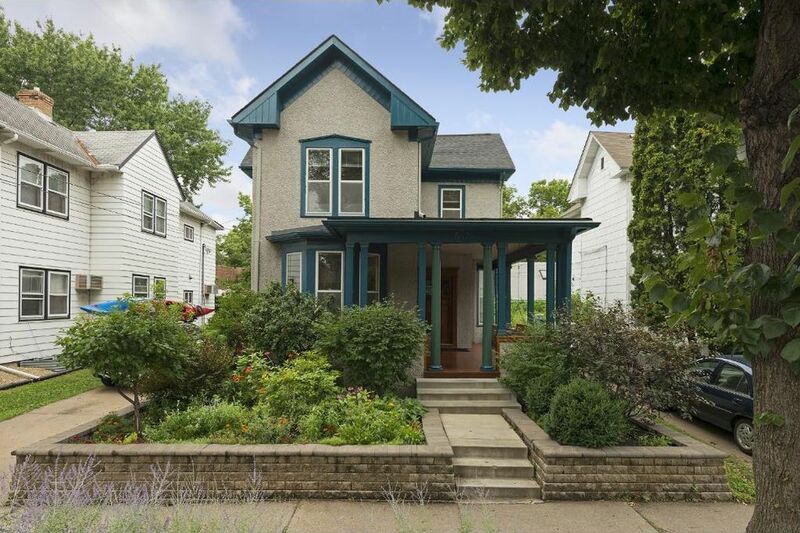 The outside of this folk Victorian home might not turn your head, but there’s a lot more to this house than you can see from the street. But before you go in, take a minute to imagine relaxing on this front porch – I like the natural finish on the floor and wall cap, most of the time you’d see these painted. 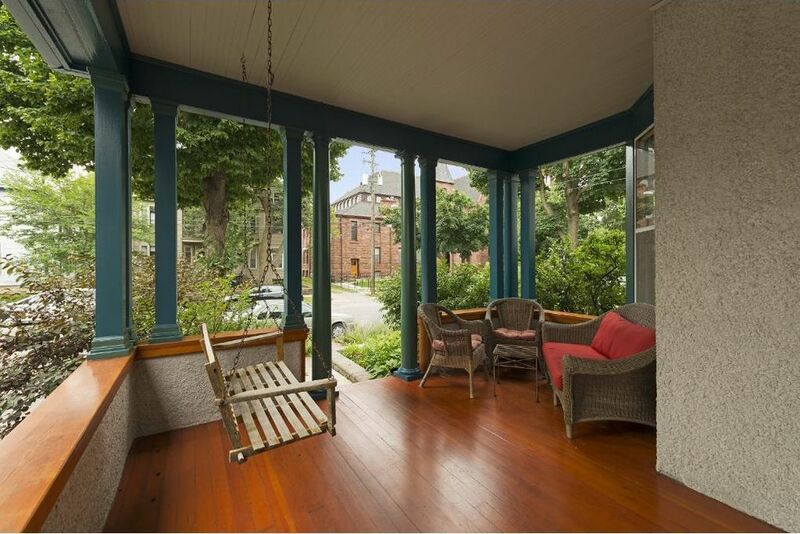 This porch is a great example of how an outdoor space can be as much of a “room” as an indoor space. 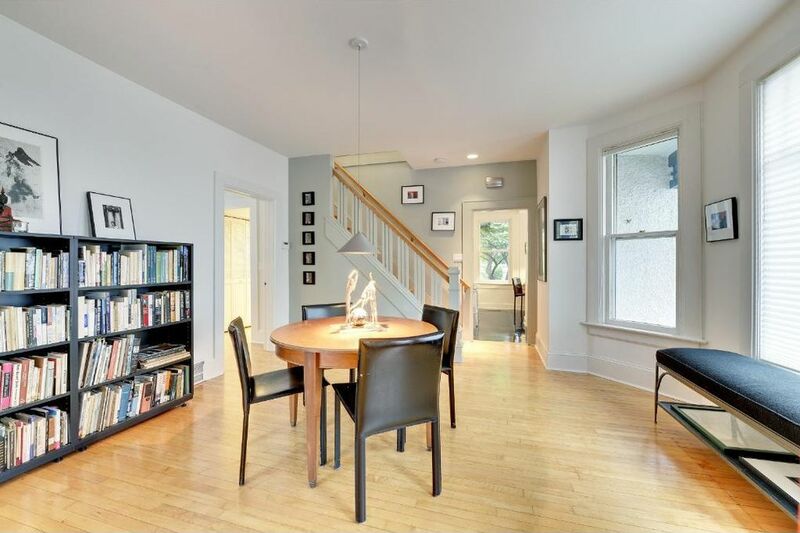 Instead of highlighting the trim and doors, as is common in older homes, the Architect-owner chose to paint out the woodwork, giving the home a more modern look, but more importantly, making the house feel much larger. The natural finish on the flooring does the same. That great detail on the stair balustrade shows up on the second floor, too. Just around the corner is this fab new kitchen. 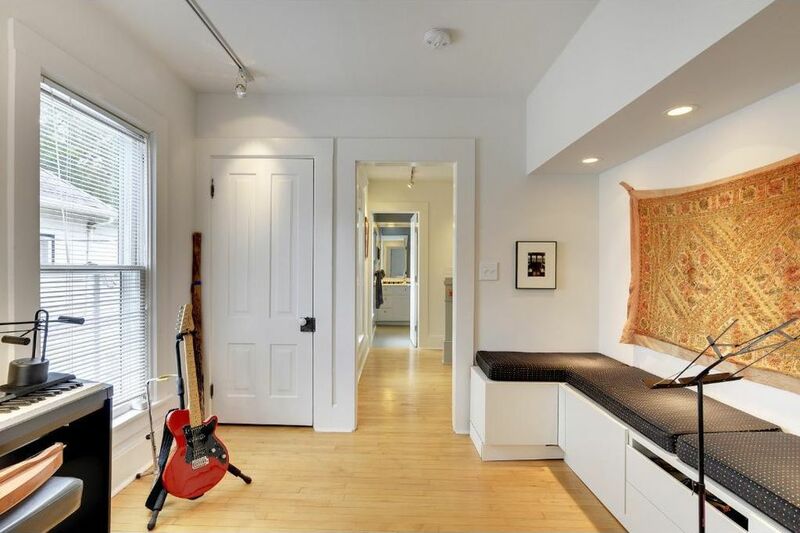 It looks high-end, but there’s some budget-consciousness too – the number of cabinets is minimal, and in the corner, there’s a countertop without a cabinet below. The floor is vinyl tile – far less expensive than tile, and easier to install. 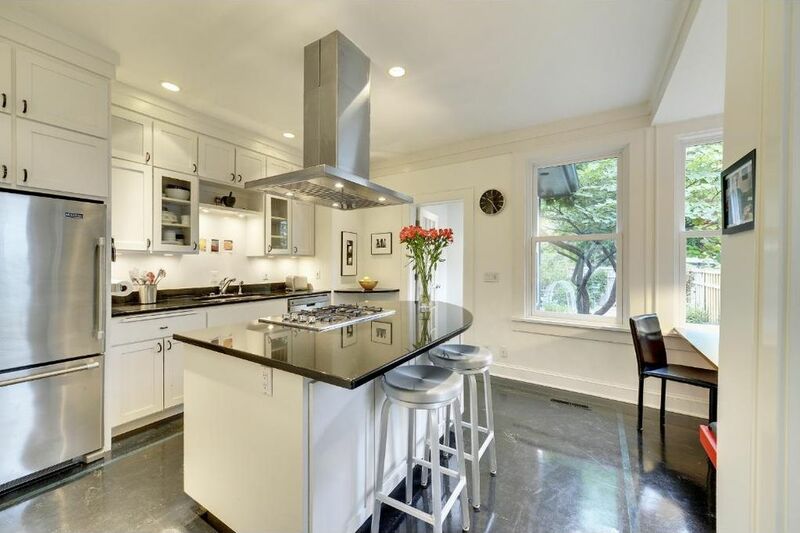 The money here went into the stainless steel appliances and hood, and the matching steel stools. 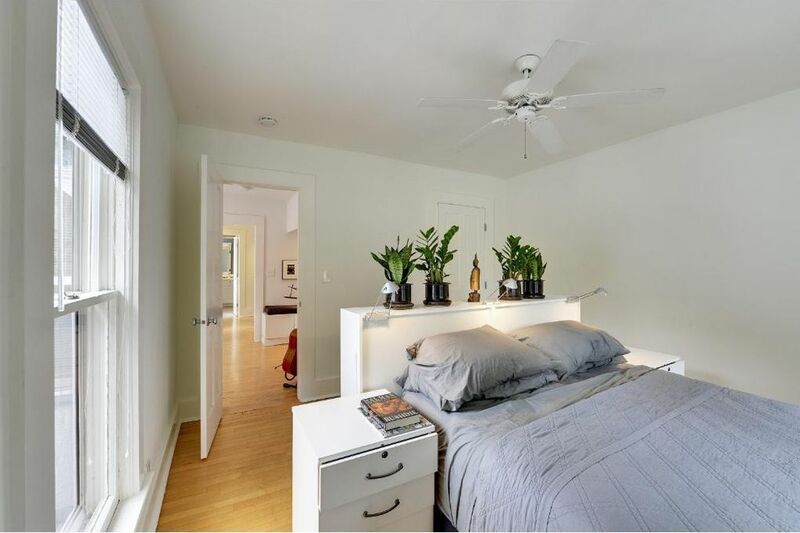 An all-white paint scheme keeps it open, modern, and fresh. 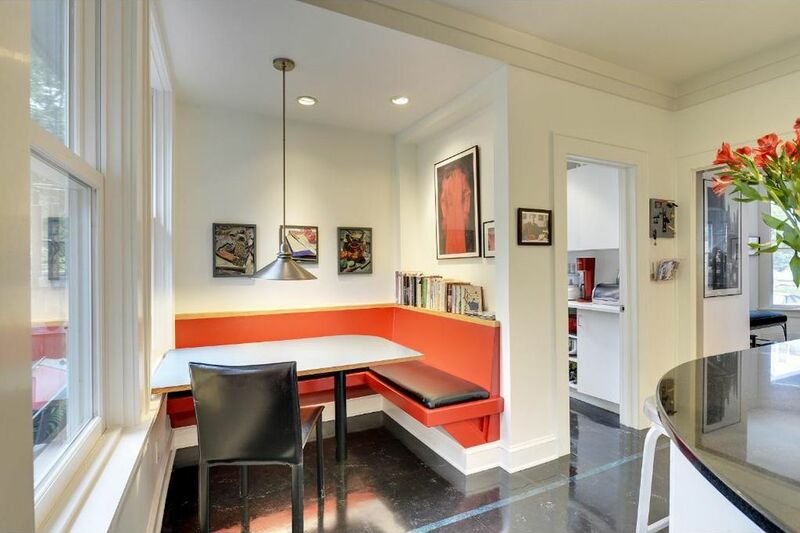 Adjacent to the kitchen, this banquette is an unexpected splash of color! At the top of the stairs, those very attractive triple-balusters appear again. Here you can see some of the nickel doorknobs and hinges that fit in with the overall look. On the ceiling, halogen track lighting highlights artwork. Track lighting is an extremely flexible system, and saves the time, money, and the mess of cutting holes in the ceiling for recessed lights. 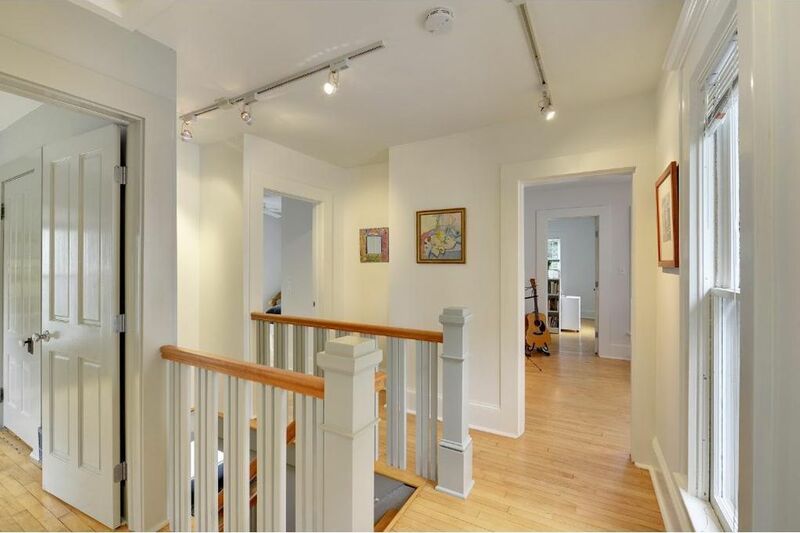 This expanded hallway, just beyond the top of the stairs, is the owner’s music room. 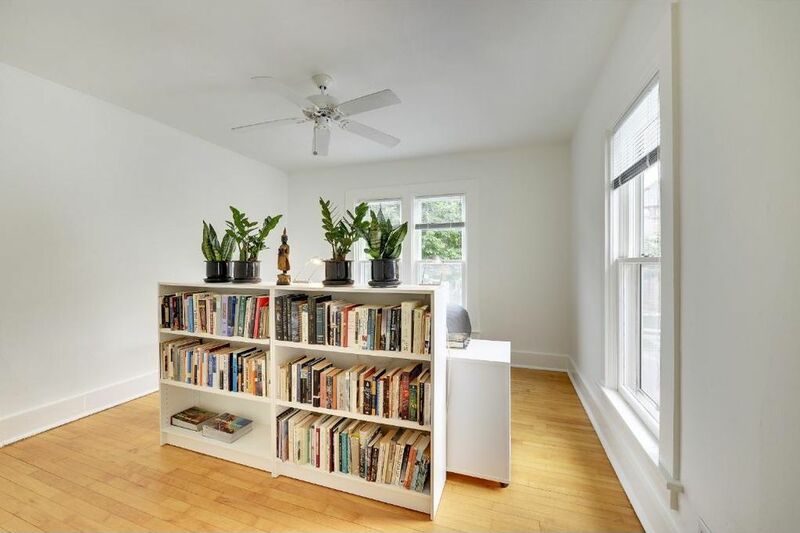 Here’s a nice trick to get the most from a small bedroom – instead of pushing the bed and nightstand up against a wall, push them to the middle of the room, and use a tall bookcase for privacy. 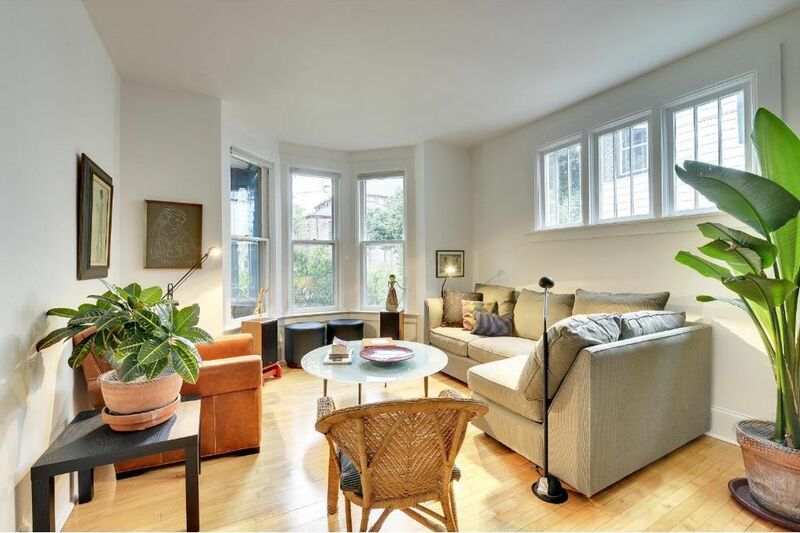 Just bought a place like this, and it’s so great to get ideas from your post. Thanks!